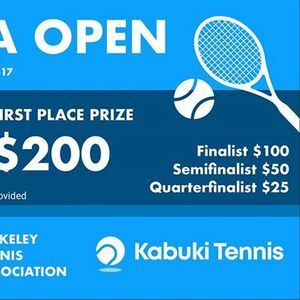 Welcome to the first Berkeley Tennis Association (BTA) Open powered by the Open Court App! 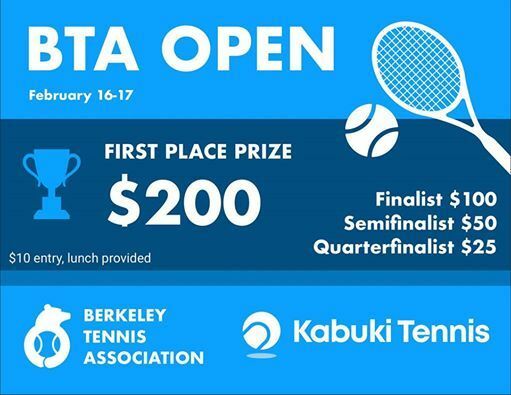 Matches will be held from February 23rd and 24th @ the UC Berkeley Hearst Tennis Courts. 5. Press the last button at the bottom of the screen where it says "Pay and Enter for $10"
6. Put your payment info and click the big button below! 1. Sign-ups close Wednesday, February 20th at 11:59 pm. Once sign-ups have closed, there is no way for new participants to be added. 2. The entry fee is $10. Entry fees are non-refundable. 3. Lunch and refreshments will be provided on Saturday and Sunday. 4. Match times and court assignments will be announced via the Open Court app. Make sure to turn on notifications when prompted! 5. Entry is limited to UC Berkeley affiliates. Show us your fighting spirit and we hope you love this tournament and app! Open Court's mission is to provide you with an app that makes it simple and cheap to find and enter nearby tennis tournaments, because we know playing more tournaments is a great way to meet new hitting partners and bring your game to the next level! 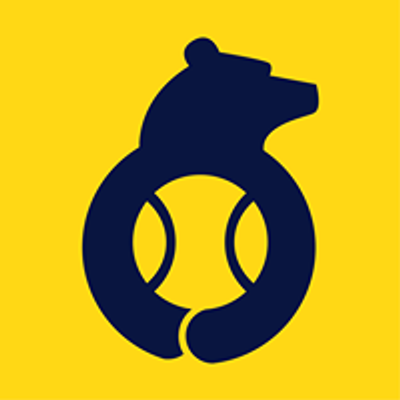 Since its establishment in 2003, Berkeley Tennis Association (Formerly Tennis at Cal, or TAC) has expanded into the largest tennis club on campus with over 200 members and growing. We hold optional practices, tournaments, and social events. Joining BTA is a great way to meet other tennis players, learn tennis, or improve your game. Players of all skill levels are welcome!